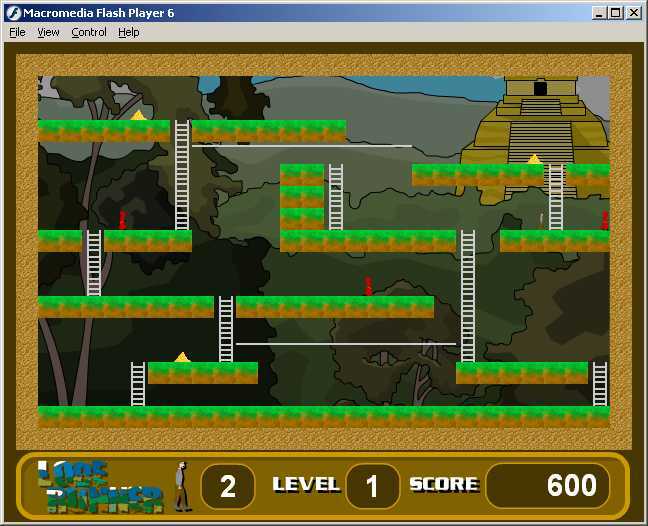 A 2004 remake in Flash of the famous game, Lode Runner, by Broderbund Software in 1983. It’s about a character who must pick all the gold in the level and get out of there, while some monks chase him everywhere. 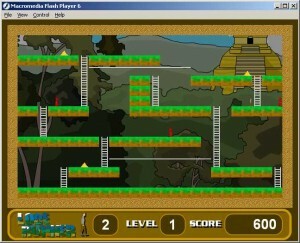 The game includes 5 levels of the original 1983 game. The level format is XML, so they’re easily editable. Click on the screenshot to see the gallery of screenshots. This game was done as a project for a videogames elective I took at college (the only elective 🙂 ). The logo of the fictitious company became the logo of my game programming site in Spanish, El Chigüire Literario. You can download Lode Runner	(408 downloads) (ZIP, 125KB) to play it locally, or play it online. You will need Flash Player 6 or later installed.